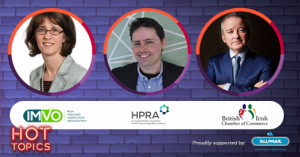 Our first Breakfast Briefing of 2019 takes places in Finnstown House on March 7th with a number of hot topics to be addressed in short, snappy presentations. There will also be an opportunity to pose questions to our speakers from the floor. 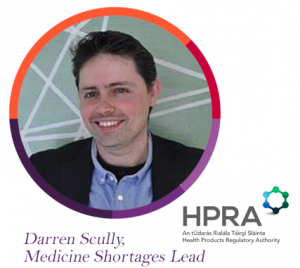 Darren Scully will be joining us from the HPRA to discuss Medicine Shortages, the structures, policies and procedures in place ahead of Brexit on Friday 29th March. 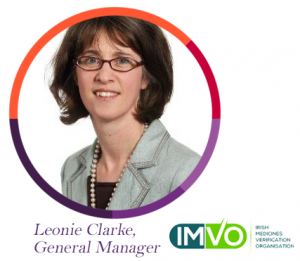 Leonie Clarke will also join us from the IMVO to discuss FMD and how it has bedded in following the launch on February 9th, and John McGrane from the British Irish Chamber of Commerce will give some insight into Brexit and it’s impact on businesses in both Ireland and the UK. 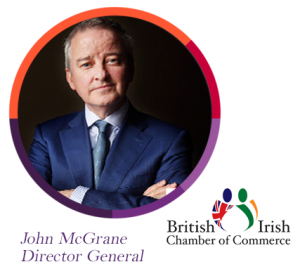 John is Director General of The British Irish Chamber of Commerce, a private sector organisation which he co-founded in 2011 to represent businesses with interests in the two islands and their economies. 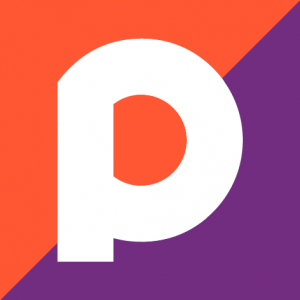 He is a retired financial services professional having completed a 40 year career with the Royal Bank of Scotland / Ulster Bank Group in Ireland. His career has spanned substantial initiatives in the enterprise and corporate sectors, both indigenous and foreign direct investment. He is a Board Director at Dublin Chamber of Commerce, BICC and a number of charities. Leonie recently stepped up into the position of General Manager, having held the role of IMVO project manager for the previous 3 years. Leonie has considerable consulting experience across the pharmaceutical industry and holds a BSc in Pharmacy & and MSc in Pharmaceutics – both from Trinity College. Darren joined the HPRA in 2012 initially as a Cosmetic Products Manager having previously worked in academia, the pharmaceutical industry and community pharmacy. Since then, Darren has held a variety of roles within the HPRA building out his knowledge and expertise. He now supports the HPRA’s role in the management of medicine shortages and works to create an environment to reduce this likelihood. Darren holds BSc ‘s in both Pharmacology and Pharmacy, an MSc in Pharmacy, a PhD in Pharmacology and most recently a Diploma in Regulatory Management.